The topic of pets is often an emotional subject for owners. In my experience, when people express disdain and hatred for another person's pet interest, they don't realize the damage they are doing. Most exotic animal owners are as equally committed, emotionally invested, and devoted in the care of their animals as the majority of dog and cat owners. As with any group of people, exceptions exist. Even if a person doesn't agree with the pet keeping practices of another, it pays to approach the matter humanistically. Ignorance and arrogance is often a reason why exotic pet detractors are confounded when the exotic pet keeper's reaction to such criticism is less than positive. Please be advised that this article does not advocate or suggest that any person should pursue adopting any animal that they cannot properly care for, but it does reject the idea that an animal cannot be cared for and be content in captivity simply because it isn't domesticated. This article does not suggest that people take animals out of the wild, nor does it deny that there are conflicts with the existence of the trade. The answers provided here are also not comprehensive. I also don't wish to mindlessly parrot information from the biases of either side of this controversy. I'm probably more adamant than any anti-pet person on getting animals away from bad owners, both domesticated and not. I hope this user-friendly passage will prompt people to think more deeply about this non-black-and-white subject and to actually assess the facts. The person who said “the truth will set you free” wasn’t puffing smoke. I have sorted both anti-exotic pet and anti-captive animal sentiments into categories based on their level of intelligence and objective awareness. While naming the first set of assertions “stupid” might sound harsh, the fact is, there is such a thing as a stupid question, and I can't stand it when people state their emotional feelings as fact. 1. Wild Animals Are Not Pets! Reply: Domesticated dogs and cats are not pets!! See? I can do that too, and it makes about the same amount of sense. Human beings have been keeping pets for almost the entire duration of their existence, hence, the existence of many domesticated animals today. Such tamer animals make great pets for more people, yet this does not mean that so-called "wild" animals can't be effectively cared for by the right people. I’m not sure why people have appointed themselves rulers of the universe and feel they get to declare that a group of animals, due to their lack of tameness to the extent of another, can no longer be considered a "pet" even if it is being appropriately cared for. A pet is any animal you are in charge of and care for; it does not mean that you must treat a tiger, fish, or snake like a dog. Exotic pet keeping requires "animal sense" and adaptability on the owner's part (not the animal's). If you don’t want one, don’t get one. I, however, am not your clone and should be free to pursue my life's interests. 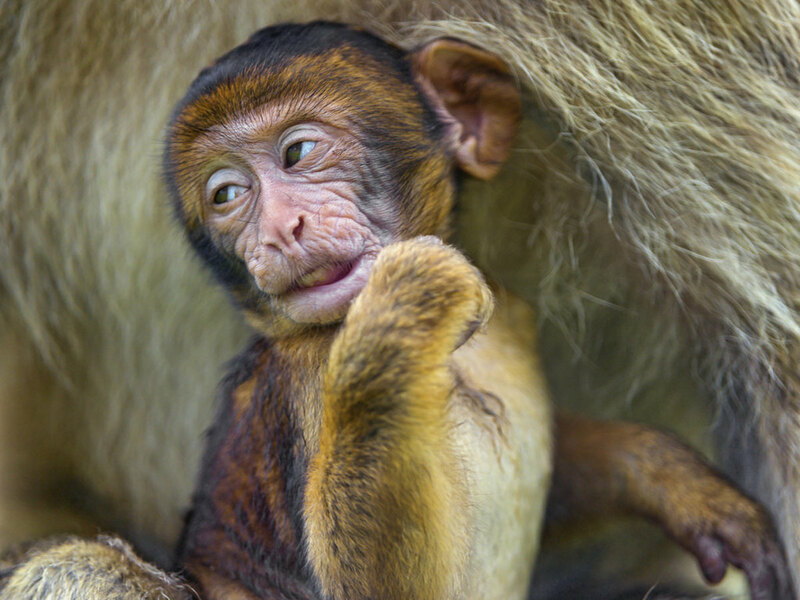 -Qualified keepers can care for zoo "surplus" animals. -It is enriching for responsible owners who want to care for these animals. -It is educational and enhances our understanding of the animals. -Much of our learned successful techniques for captive animal rearing comes from private owners. -Our country's values indicate that we should enjoy the same freedoms and respect as other pet owners. Reply: Everything once belonged somewhere in nature, including ourselves. If keeping a so-called "wild" pet is such an absurd aberration of nature, I can only imagine what an atrocity modern homes, computers, cars, modified food, and intentionally-bred-to-look-like-freaks-domesticated dogs must be. This isn't inherently wrong or unethical. What really matters is if the animal can lead a reasonable existence in captivity — and many surely do as long as they are provided the 5 freedoms. Reply: Incidents of animal cruelty involving exotics are nearly identical to those of domesticated animals, with poorly cared for exotics being found in places of a low socio-economic status. There's enough domesticated pet cruelty to keep multiple Animal Planet series running, while Fatal Attractions struggles to search for more stories after 2 seasons. It is incredibly unreasonable to hold exotic pet owners to a higher standard than domesticated animal owners and expect there to be zero rates of cruel situations. Many people decide for themselves that a wild animal must be suffering in captivity because of their own romanticized view of how animals should spend their lives. Luckily, animals do not adopt the positions of humans most of the time. Animals want to be fed, engage in whatever activities are relevant to their species, and have shelter away from the elements. With most animal species that are held in captivity, this can and is being accomplished. Save such criticism for people who aren't providing this, and offer feasible evidence that is not ideologically driven. Reply: I'm sure horses with humans on their backs, essentially using them as a transportation device, feel a ton of pride. The same goes for a leashed dog that is inhibited from carrying out its natural behavior of sniffing and barking wherever and whenever it wants. Anthropomorphism is not a logical or valid reason to object to animals in captivity. Logic strongly supports that these animals do not subscribe to this sentiment. 5. Nobody Needs an Exotic Pet. Just Get a Dog. Reply: We teach our children to respect each others' differences and desires, yet people feel as though their personal sentiment should literally dictate the lives of others despite no logical justification. Certainly, no one technically needs a pet of any kind, but they are enriching to people for their own personal reasons. Dog owners should not be told to just get cats because cats never attack anyone, and I don't think cats should be banned just because a lot of irresponsible people allow them to roam outside and destroy other people's property (while preying on wildlife). As I can personally attest to, owners of "alternative" pets feel just as strongly about their pets as owners of cats, dogs, and freshwater fish do — sometimes more. 1. There Are Over 5,000 Tigers in Captivity in the U.S. That's More Than the Number of Wild Tigers Around the World. Reply: This would not be true if tigers weren't extremely endangered. There used to be over 100,000 tigers living free in the wild, and now only a mere fraction of this amount remains. That’s pretty startling and gives more reason as to why captive breeding programs must be established by credible zoos and professionals. It’s a good thing that tigers readily breed in captivity. It is likely that in about 30 years, a zoo housing one tiger will have more tigers than in the wild. The amount of "pet" tigers is also often radically exaggerated. Most captive tigers live in zoos, sanctuaries, and other so-called educational facilities, but they are not private pets as many groups would lead you to believe. Reply: Most exotic animals (especially mammals) in the U.S. are captive-bred. Marine fish and reptiles are an exception. Taking an animal from the wild is largely illegal. Breeders may import wild-caught animals once in a blue moon to improve the gene pool of captive populations, which is fine for people with experience, as it is for zoos, and this practice is sustainable. Obviously, smuggling animals into the country illegally is not a practice anyone supports, and this is exactly why it is and should remain illegal. If there ever is an issue with illegal smuggling of wildlife and wildlife parts into the U.S., it is an easy matter to address. Laws should be mandated to prevent illegal smuggling, but it should not ban everyone from owning an exotic animal because of a few bad people. Reply: Outside of some restricted climates in the U.S., exotic, non-domesticated mammals becoming invasive is not happening. There are feral populations of dogs and cats in most climates, while pet reptiles can only live in restricted climates. Cats, in particular, are some of the most critically damaging and invasive species in the country, yet people still allow cats to roam outside and prey on wildlife. A lot of human activity, including the keeping of domesticated pets, is also detrimental on the environment. 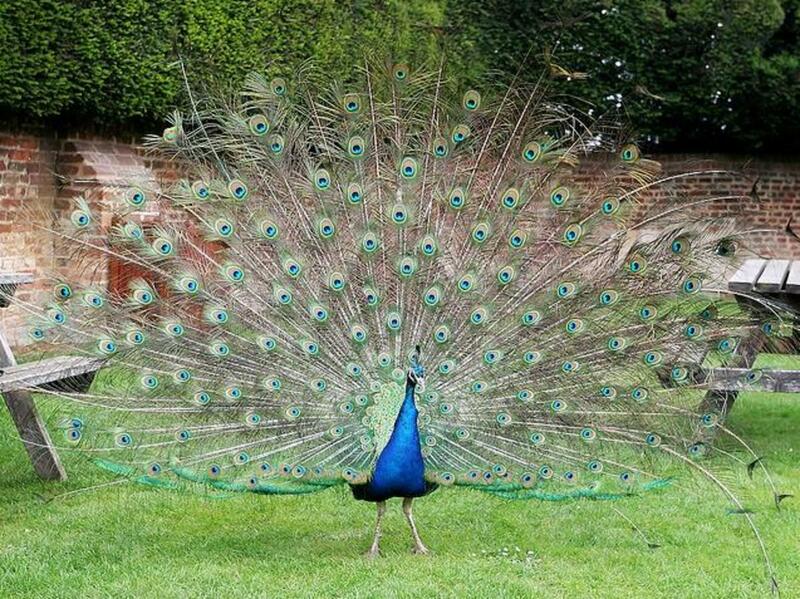 Exotic pets are singled out because they are less popular. To people who do not wish to keep exotic pets and, therefore, see no reason for it to occur, they are the most objectionable. But being in the minority shouldn't make anyone's needs less worthy of being considered. Reply: The statistics show that exotic mammals rarely, if ever, kill or attack members of the public, while dogs accomplish this routinely every year. Part of being responsible for the care of a "dangerous" exotic (as many exotic animals certainly are not so) is having higher standards than typical pet owners (and laws can be implemented to keep away bad owners just as they should be for domesticated animals). The sheer amount of domesticated pets, and the fact that many owners will let their guard down because their pets are accepted and not in danger of being banned, makes the chances of getting mauled or killed by them extravagantly higher. It defies logic to fear harm from one threat while ignoring and accepting another threat that is more likely to affect you. Simply put, prejudice is responsible for the fear of what is unlikely to happen, as people are willing to accept the higher risks of dog attacks but not the "lottery" chance of being attacked by another type of animal. Bad luck cannot be banned and it is a part of life. Reply: Some people keep horses in their "backyards." Not all backyards are small like the average suburbanite's. Surprisingly, some people own a lot of land. Reply: "Exotic animals" consist of everything from hamsters, ferrets, tarantulas, tropical fish, sugar gliders, peacocks, parrots, snakes, gerbils, lizards, fennec foxes, and of course, a tiny percentage of large animals that may include big cats. So, indeed, this covers a wide range of hobbies and is a large, profitable industry when lumped together to mislead people into thinking everyone and their mother has or knows someone with a pet tiger. One source states that there are 139 million freshwater fish and 9 million saltwater fish in households in the United States alone. Most of these animals are considered exotic pets and are factored into this economical estimate. Reply: All animals, including humans, spread diseases. Period. Of course, exotic pets can spread disease. A common practice of arguing this point is lumping all exotic animals together and attributing their combined disease threats (both severe and mild) as a whole to make them sound like a massive pathogenic crisis. Interestingly, most of the occurrences of exotic pet zoonosis come from animals that are small and more acceptable in society, such as birds, small mammals, and small reptiles. But, of course, special interest groups will make it seem like a pet wallaby is responsible for or capable of the disease transmission of a Gambian pouched rat. Many people who are concerned about diseases from an alternative pet are unaware of the disease threats in their everyday lives and do not practice recommended hygienic practices. If you are truly concerned about disease, beware of hotel remotes, menus at restaurants, animal-based foods, and making physical contact with other people. In fact, do you wash your hands after petting domesticated animals? You probably do, which begs the question, why, once again, are captive-bred exotic animals being singled out? It is not justifiable to determine for others which species of animals they are allowed to keep based on their popularity. 1. 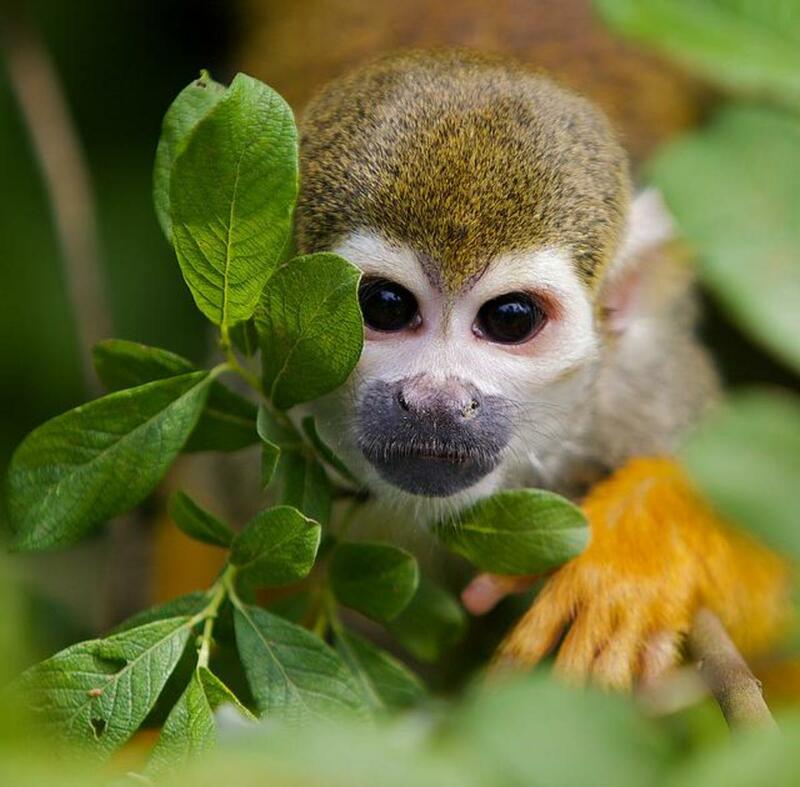 Captive Exotic Animals Fuel the International Trade for Illegal Smuggling of Animals Taken From Their Natural Habitats. Look at the Macaw. Reply: Endangered hookbills are often brought up as an example of how the pet trade affects wild populations, but they are one of the only examples. Most captive exotics do not threaten wild populations in any way, and parrots are in trouble mainly due to human encroachment and destruction of their habitat, which affects successful nesting. The illegal pet trade is just icing on the cake of this issue, so only banning these birds as pets will not resolve it. 2. Are Non-Domesticated Animals Happy in Captivity? Reply: The claim is that captive wild animals often exhibit what is called stereotypical behavior, which is repetitive, unnatural behavior with no apparent goal. It appears to indicate that the animal is experiencing stress, depression, or some other psychological imbalances. This is indeed a problem with some facilities that house wild carnivores and other intelligent mammals. It's still questionable, however, whether such behavior is the result of mental illness or "boredom." Many animals exhibit the behavior in anticipation of their feeding time or due to hormonal changes in light of breeding season. The public mistakenly believes that these behaviors indicate that the animal is suffering from its confinement. In situations in which an animal does not have its mental needs met, a husbandry error is the probable cause. 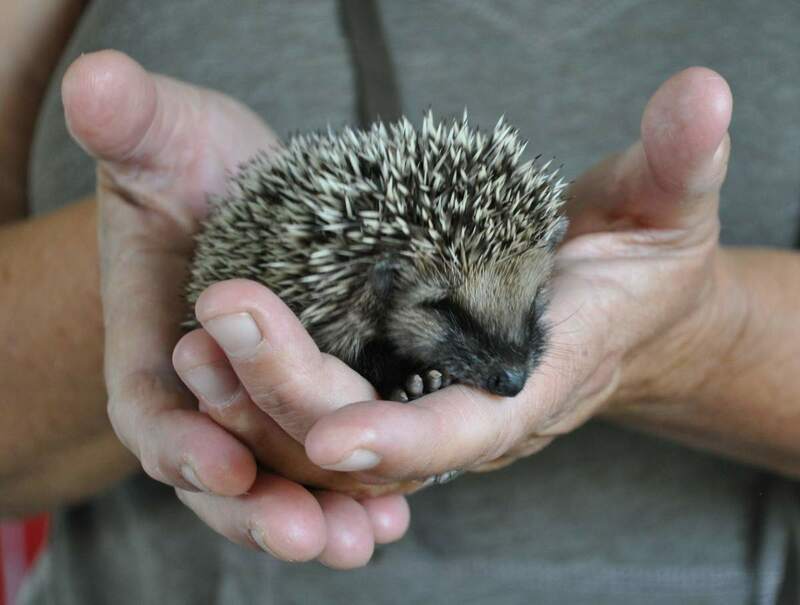 Husbandry errors exist for pets of all species, and only those up for the challenge of exotic animal ownership should take on the care of an exotic animal. 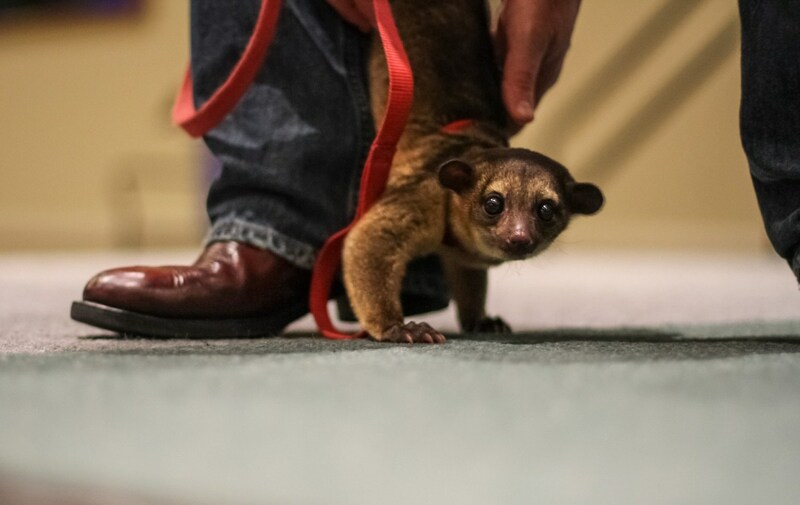 Reply: Laws and regulations should be shaped to encourage the placing of exotic animals in the hands of only qualified owners, with penalties for any violations. These regulations should include registering the animal with the state, implementation of an applicable insurance policy, caging specifications, and an overall analysis that the potential owner is knowledgeable and sensible about the animal. Somewhat more tepid regulations may be put in place for less concerning exotics like servals, other small pets, and cat-hybrids. Education should also be brought forth for other species. Reply: This claim is much less sensible. It is essentially arguing that contributing to the demand for the exotic pet trade is supporting cruelty. It is true that there are bad owners, but there are also bad parents and bad people in general. Bad things will always happen with anything that we do, but that doesn't mean we should stop well-meaning, law-abiding people from living and choosing freely in order to avoid it. Banning people from their pets because their animals are less popular than other animals is neither ethical nor constitutional. 5. Then Do We Just Ignore the Suffering of Exotic Pets in Captivity? Reply: No, you support regulations that discourage bad owners from obtaining species they shouldn't have, but do not ban all owners from keeping pets. The same should be done with domesticated pets. I may feel differently about this topic than some people, but I also have the information and the experience to back up my feelings. I shouldn't have to abide by your values. People do not need to be in love with the idea of zoos or pet keeping, but the major issue here is that people must tolerate the differing opinions of others and not enforce laws based on their emotional and ideological sentiments. People should want to do this so that they can enjoy the same respect for their own pursuits in return. Your basic feelings about how someone else should conduct their life should end at your own property line. If someone's neighbor wants a parrot, and that neighbor is a responsible owner, then the law should end there. When people refuse to think, they are not allowing their minds to expand beyond their comfort zone, which is potentially damaging. In this case, such harm comes to animal-related business efforts involved with captivity to help animals and individuals who enjoy working with these animals. Exotic pet owners find meaning in their lives with 'alternative' pet-keeping, and their need to do it is not unlike the need of dog owners. 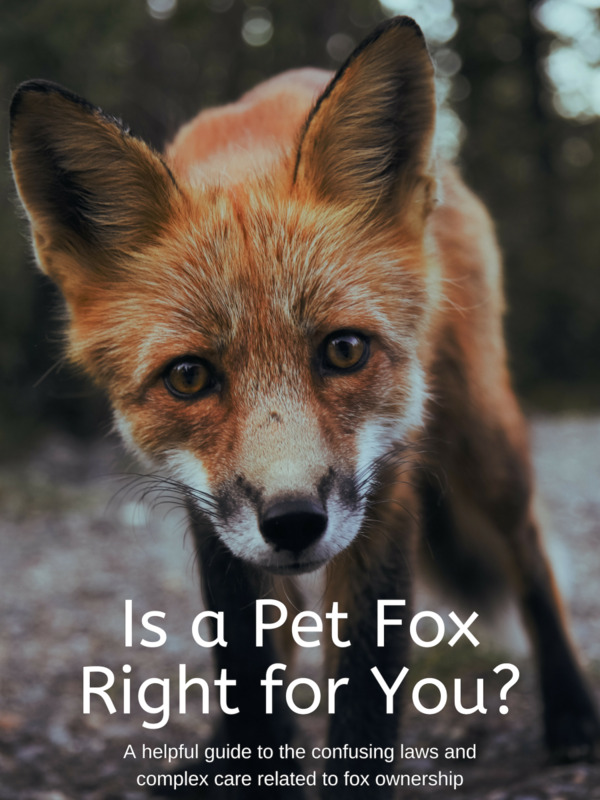 Exotic pet owners comprise a small portion of the animal-caring population, so unfortunately, the public majority leans towards the ideas of groups with more power and influence. This article is my feeble attempt to counteract it. No one has the "right" to own an animal they cannot properly care for. My position on this subject is solely out of interest for responsible owners, not the irresponsible owners. If I feel that no one is capable of providing for an exotic pet in a private situation, I won't support it. However, there are a few people who have a strong interest in animal care and base their life around it. They should not have to abandon their chosen lifestyle due to the opinions of non-animal orientated people or special interest groups. Feel free to add more questions or raise your concerns. Just remember to think before you address anything, especially if emotions arouse the assertion. Remember that single, isolated incidences of anything are close to useless in providing real reasons for why pet owners deserve to lose their animals. Should people be able to keep bigger animals like tigers and lions? Wow what is wrong with you?? Domestic animals have been bred to live with people, wild animals absolutely have not. This whole page is absolute garbage. I Like every thing you wrote,and I agree with you,but I could have never explained it like you. I like exotics more than domesticated animals, I will probably get a medium to small mammal when I retier so I will have lots of free time to care for It,Im glad I found your writing explaining every thing about domesticated and excotics.
" Why do you think people who own house pets (dog, cat, etc) don't end up on the news with the headline that they got killed or put in the hospital by their pet?" Probably one of the dumbest things I've read in the comments. That happens all the time, of course. I think even exotic pet haters know that. It's an objective fact that more people are killed by "house pets" than exotic pets. Sure, there are way more house pets, but most of those animals are too small to kill anyway. House cats would be pretty dangerous if they were the size of a tiger. Cats certainly have instincts. There really aren't tremendous differences between them other than size. So you might want to alter your argument from 'exotic' animals 'large' animals. Since you don't even realize that dogs have killed people, you really ought to re-think everything in your post. You make a very great argument the only animal that I feel should never be owned as an exotic animal are Chimpanzee (Not talking about zoo or sanctuary) I also feel that they should at least meet an exotic animal that they want as an adult and have experience! Dont listen to that Catherine. They want to start a fight. I have not read all the comments. But wanted to mention two things. The State of Florida has detailed regulations on the care and keeping of exotic animals, broken down into 3 categories at least. These state regulations are quite effective and at the same time do not prevent ownership of species. Second. The case in Ohio where, IMO, the guy was murdered. Did you read the autopsy report? I did. The man had has pants and shorts pulled down to his ankles. This is standard procedure used by some cultures to show shaming of the murdered person. How many men have you ever heard of that committed suicide after pulling down their pants? Further, note that many of the cages were CUT open. He had the keys to the locks on the gates. Cutting wire takes time. What owner is going to spend time cutting cage wire when he could simply unlock the cage and open the door? IMO those are definitely considerations...as well as the police-issue gun used in the killing found many feet from the body. Those facts do not fit very well with a suicide case. That person probably thinks everything without fur isn't a 'real' animal. Melissa, I love your hub and you seem to be a very educated and intelligent individual. Lately I've been dealing with a lot of flack from groups like the PETA. I've had people attack me because I choose to own snakes. One woman wearing an animal rights shirt approached me when she saw my foot long albino garter snake and told me she would like to "kill that thing with a shovel" while clutching her tiny pocket puppy. I wasn't sure what to say to that, but I don't tolerate people threatening my pets. Worst of all was that she was supposed to be an animal rights supporter. How did she think it was okay to act in such a way? Regarding your statement of heavy regulation on carnivores like lions, tigers and bears. I agree to some degree but there is such a thing as over regulation, especially when the common citizen isnt even afforded the opportunity to become a qulaified owner. Like for example the Big Cat Public Safety Act. By declaring that only zoos with accredidation associated to the AZA are allowed to possess and breed lions, tigers, leopards ,snows leopards, cheetahs and Pumas then thats a illegal monopoly. And it`ts unfair especially in America where were supposedly where we have all these rights to indulge on every pleasure a man can possess with hard work and determination. I can`t start a zoo and offer another alternative habitat for these animals? I am zoo keeping student with membership to the American Association of Zoo Keepers, I am also a member of the Feline Conservation Federation and have completed their wild felid husbandry course. I am doing everything in my power to become qualified but laws like that would make all my efforts in vain. If you've got your own nature reserve, and you have plenty of money, time and help to take care of your exotic pets - I don't have a problem with you. We've all seen and heard of horror stories of animals being rescued from places like that; but I'm sure that your reserve would be fine. With the snakes, it was MORE THAN ONE pet owner releasing them into the wild. And yeah, someone mentioned above about being able to walk down the street with their big cat on a leash because they should get to do what they want with them - no way! I'm just saying... you could stand to find some balance in your viewpoint. There are reasons why people are against exotic pet ownership; and most of them don't have much to do with your rights being trampled on. You have the audacity to think you know more about this subject than me? That would be like me saying I know more about Twilight gossip than you even though I've never seen or read and I think it's stupid. Alright, you asked for it. I'll dissect your ridiculous comment. "Okay, I'm trying really HARD to say this without any emotion: exotic pythons in Florida brought in by pet owners that are destroying the ecosystem." Your exotic cats are destroying (what's left of) the ecosystem, from Florida to Alaska, from Virginia to California to even Hawaii, and no one gives a damn. It's pathetic, a large number of cat owners can't even KEEP THEIR PETS INSIDE. And you're whining about exotic pythons? Why? Because you're a bigot and you decide to see destruction when its a species you don't want to see being kept. Speaking of emotion, I've shed tears while attempting to save the victims of callous cat owners. "I think that the world would be better off if I were free to walk my tiger down Main Street on a leash and no person could tell me what to do with my animals." So you think inventing some ridiculous scenario qualifies as an argument? As though you are arguing for making cars illegal because anyone could just decide to drive their vehicle into an elementary school. "Gosh, wouldn't it be neat if we could all do that? We could domesticate tigers and dingos instead of puppies and kittens. Since dingoes are believed to have been once domesticated and are closely related enough to dogs to produce viable offspring with them, your comment makes you sound like a fool. And you do not domesticate 'puppies and kittens'. Puppies and kittens are babies of animals that are ALREADY domesticated. "The only reason why anyone would want to acquire an exotic pet is to get one-up on the Jones's." So freaking what? You don't get to decide acceptable reasons for getting a pet, because the world does not revolve around you and your ignorance. "The reason why zoos are 'needed' is because humans have ruined and/or overrun their natural habitats. There is only so much room in the wild for them, anymore. Not every zoo has enough money to care for their animals the way they need to." What the heck does this have to do with exotic pets or why it is wrong? If anything it provides an argument FOR keeping exotic pets, since zoos that have enough money, private keepers can help. Stick to Twilight and mattresses. "...aaand what else?" Actually, there were three parts to my response - all good. You are obviously very closed-minded and obtuse about this topic. I'm guessing that exotic animals are your religion, LoL! WV Miller: It's not clear to me if you support bans or not. 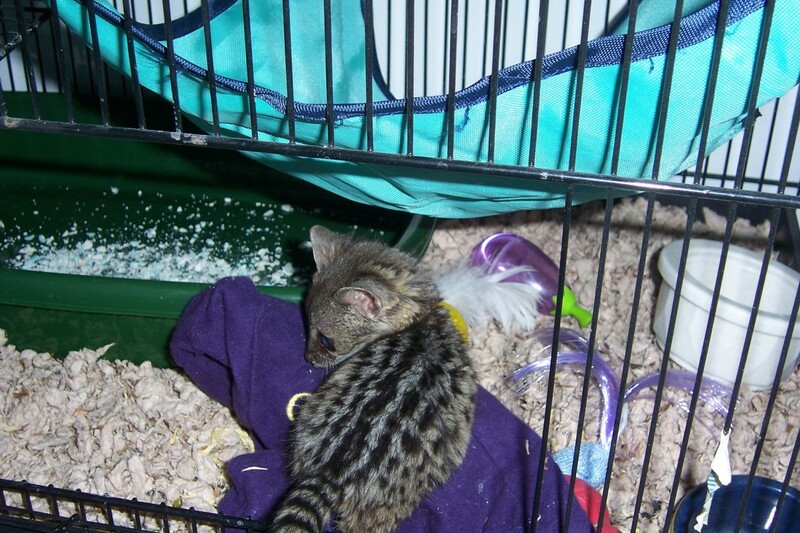 Why are your concerns different for exotic pets and not for ALL pets as it appears to be? What former exotic companions are being euthanized? People are attracted to the species of their choice. They can't be forced into adopting a species they don't want. I do not support exotics as pets, discourage it and would never do so myself, but do not support a ban on others supporting exotics as pets under licensure. I have 2 specific concerns, one that you have addressed above, irresponsible breeders and owners, and just because its already happening doesn't negate the concern. The other is that there seems to be on-going attempts at breeding domestication into "wild" exotic cats/wolves to produce hybrids. Obviously genetic engineering, deliberately producing mutations has been going on forever, my personal concern is here we are breeding more and more options for a future pet owner to choose from while our current batch of perfectly well adapted former exotic companion animals are euthanized by the millions annually, for want of a home, a family who wants a domesticated exotic animal. Seems like it once again comes to down selling living beings for money and experimentation, just because it can be done, should it be? Hi Bob, thanks for describing your experience. Hubpages won't allow editing the comment again but I think it is fine the way it is. I don't know what I would do in such a situation. I'd probably start carrying a weapon. You did the right thing calling 911. It upsets me even more since I really want to do something similar to you, bringing my animals to nature centers and libraries. I figured confrontation with dissenters was inevitable. I've never fought with them offline, had I endured your experience it might alter my shy nature. Admin: Can you open my comment so I can edit out the redundancies? Thanks. I am a 70 year old licensed veterinarian. I like all animals but the only ones I have a desire to own are medium sized reptiles. I also do a limited amount of rescue. I have done this since I was a teenager. Reptiles are easy to take care of when you understand their requirements and can provide them, so that is what I focus on. I still have a number of turtles and tortoises that I acquired during the sixties and seventies. My iguana and tegu will both be 26 years old this year, and are still going strong. I breed and show them, and use them for public education. Every summer for the last 5 years I have been asked to provide a reptile display and education event for a local weekend festival in a small bucolic Fox Valley area town in east central WI. Every year it was a pleasant and enjoyable experience. It is a family oriented event and everyone has always been civil and well-behaved. It is like the proverbial “Norman Rockwell Community”. On Sunday afternoon my experience there was blemished when Evil descended upon my exhibit. I did not recognize them at first. They seemed like most everyone else. They asked me some general questions about the animals, but then they launched into a tirade about the animal cruelty I was committing by keeping “wild animals (captive-bred reptiles) that need freedom to roam, cooped up in plastic boxes (my Neodesha display cages)”. At the time I had one of my boas on the lawn next to my display so that the public could pet it and take selfies of themselves with it. One of the men then launched into another tirade about the “huge number of large constrictors that kill people every year and that I was being reckless and endangering public health and safety by exposing the public to them”. He then said it should be illegal everywhere for anyone to own dangerous wild animals like this, and that he was glad more municipalities are outlawing them. He said this while standing inches away from my “dangerous wild animal”, the likes of which apparently go berserk without warning and launch themselves at people and crush them to death. This man then went on to say that my “plastic boxes” were a joke that could not protect my reptiles against an “attack by his group, which could easily smash all of my cages on the ground and stomp my animals to death within minutes, and I would not be able to stop them”. I dialed 911 and asked for police intervention for a group that was threatening acts of violence against me. The group leader then became indignant and led the group away while chastising me for calling the police. Park security and the police arrived within minutes but the group disappeared and could not be found. I was unnerved, uncomfortable, and visibly shaken for the rest of the day. I have no idea by which theories of animal welfare or civility it is ever acceptable to destroy someones’ personal property and “stomp harmless reptiles to death” in order to “save them from animal cruelty”. I have been using my animals for public reptile education since I was a member of the Wisconsin Herpetological Society in 1974. After WHS disbanded several decades later, I continued to provide reptile displays and programs to schools, nature centers, and public events like local fairs and festivals. I have encountered AR people at these events a number of times in my life, however, I have never before experienced direct threats of personal violence for exhibiting my animals before. A dark shadow has been cast over my world. I do not know if I can ever again feel comfortable exhibiting my animals in the public sphere. The idea that thugs would invade my presentation and attack me and wantonly kill my beautiful reptiles, many of which were older than they were, seriously hurts me. It was not in my retirement plans to spend my “golden years” in prison for murder, but what the legal system defines and murder, to me is vermin control. I would use deadly force to protect my animals from attack by thugs. The legal system, I am afraid, would not consider killing humans to save reptiles justifiable. It seems like it is time to call it a day while my life is still intact. I have no respect for anyone or any organization that would deprive me of my right to have these animals. Every summer for the last 4 years I have been asked to provide a reptile display and education event for a local weekend festival in a small bucolic Fox Valley area town in east central WI. Every year it was a pleasant and enjoyable experience. It is a family oriented event and everyone has always been civil and well-behaved. It is like the proverbial “Norman Rockwell Community”. On Sunday afternoon my experience there was blemished when Evil descended upon my exhibit. I did not recognize them at first. They seemed like most everyone else. They asked me some general questions about the animals, but then they launched into a tirade about the animal cruelty I was committing by keeping “wild animals (captive-bred reptiles) that need freedom to roam, cooped up in plastic boxes (my Neodesha display cages)”. At the time I had one of my boas on the lawn next to my display so that the public could pet it and take selfies of themselves with it. One of the men then launched into another tirade about the “huge number of large constrictors that kill people every year and that I was being reckless and endangering public health and safety by exposing the public to them”. He then said it should be illegal everywhere for anyone to own dangerous wild animals like this, and that he was glad more municipalities are outlawing them. He said this while standing inches away from my “dangerous wild animal”, the likes of which apparently go berserk without warning and launch themselves at people and crush them to death. This man then went on to say that my “plastic boxes” were a joke that could not protect my reptiles against an “attack by his group, which could easily smash all of my cages on the ground and stomp my animals to death within minutes, and I would not be able to stop them”. I dialed 911 and asked for police intervention for a group that was threatening acts of violence against me. The group leader then became indignant and led the group away while chastising me for calling the police. Park security and the police arrived within minutes but the group disappeared and could not be found. I have no idea which theory of animal welfare it is ever acceptable to destroy someones’ personal property and “stomp harmless reptiles to death” in order to “save them from animal cruelty”. I have been using my animals for public reptile education since I was a member of the Wisconsin Herpetological Society in 1974. After WHS disbanded several decades later, I continued to provide reptile displays and programs to schools, nature centers, and public events like local fairs and festivals. I have never before experienced direct threats of personal violence for exhibiting my animals before. A dark shadow has been cast over my world. I do not know if I can ever again feel comfortable exhibiting my animals in the public sphere. The idea that thugs would invade my presentation and attack me and wantonly kill my beautiful reptiles seriously hurts me. I will be 70 in another year. It was not in my retirement plans to spend my “golden years” in prison for murder, but what the legal system defines and murder, to me is vermin control. I would use deadly force to protect my animals from attack by thugs. The legal system, I am afraid, would not consider killing humans to save reptiles justifiable. ...aaand what else? Is that your entire argument against exotic pets or do you think I don't know that? Is it your position that anything harming the environment should be banned because if it is, I have some special news for you that involves your cats. "Just remember to think before you address anything, especially if emotion aroused the assertion. Remember that single, isolated incidences of anything are close to useless in providing real reasons why pet owners deserve to lose their animals." Okay, I'm trying really HARD to say this without any emotion: exotic pythons in Florida brought in by pet owners that are destroying the ecosystem. Gosh, wouldn't it be neat if we could all do that? We could domesticate tigers and dingos instead of puppies and kittens. The only reason why anyone would want to acquire an exotic pet is to get one-up on the Jones's. The reason why zoos are 'needed' is because humans have ruined and/or overrun their natural habitats. There is only so much room in the wild for them, anymore. Not every zoo has enough money to care for their animals the way they need to. Miriam hit the nail on the head when she said 'the wild is not puppues, rainbows, and unicorns'. my biggest issue is when people act like 'the wild' is this perfect place. and to the person talking about using love over logic, logic is objective and emotions are subjective, therefore when creating laws that affect everybody, logic needs to be used, not emotion. The sun conure and hyacinth macaw seem to have declined dramatically from the pet trade in the 80's before the passage of the Wild Bird Conservation Act, and the Philippine cockatoo, which appears to be rare in captivity here now, is seeing recovery in protected regions, probably due to regulative protections as well. So as of now I still think that habitat fragmentation/restricted resources is the major cause of decline that they face today, although they are probably still recovering from the previous large removal of many birds from the pre-90's era. The trades should be regulated just like any other human activities involving animals. A fairly good article, but I disagree on one point. You say that illegal parrot trapping is just "icing on the cake." It is actually the principal threat for many species, such as the sun conure, hyacinth macaw, and the Philippine cockatoo. Maybe I can point out some of the reasons Wild animals should not be illegal to keep in Captivity. I should point out that I have formally been in the animal business my whole life. I do not sell animals but I spend every chance I can observing them in the wild. Where I live I have wild animals in my yard everyday some of them quit rare now days. So here goes: 35 years ago nobody breed reptiles in captivity except by accident. Since that time almost all of the expensive animals have been breed in Captivity. And this is where the article is completely wrong most reptiles and amphibians that are sold now days are Captive raised. 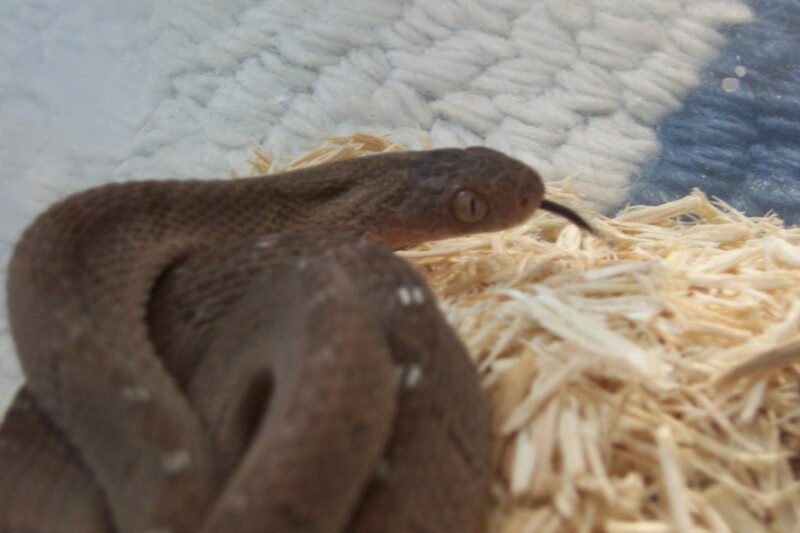 Most of the King snakes that are being sold have only very small amount being taken from the wild look at the snakes themselves the ones being sold are really pretty compared to wild ones. Ah, that's what I was afraid of. Do you know of any organizations that try to convince anyone influential( governors, ministers)? Petitions are likely to have little if any effect unfortunately, and not many will sign for this cause without some heart-warming viral story to go along with it (i.e. disabled man needs lynx for his depression). I'm a supporter of exotic pet keeping. I do believe that some exotics should require permits to keep, but not outright banned. For some states that have blanket bans, have you thought of petitions? I agree Miriam, there are many situations where sometimes the wild is not preferable and sometimes it is. I ask the question which I feel no one seems to ever ask. Are animals happier in the wild? I say animals are happy when they are fed, safe, and sheltered and have exposure to positive environments that provide mental stimulation. No living thing wants anything less than this including humans. Just because we humans, pets and exotics can survive harsh conditions does not make these conditions preferable. Nature is not puppies, kittens and rainbows. The wild for most living things means low chances of survival due to the elements, predators, poachers and worse crippling diseases. I believe the standard for keeping any animal as a pet should be higher than this. I think for the most part the regulations currently are higher. I think statistics aren't to be trusted and that people in General should use common sense and evalute pet care as a serious commitment and make the required commitment in full when deciding to purchase a pet. Animals and humans will always share the planet. There is no reason to say we cannot own them. Just do so responsibly. Those who can't are the only ones who should be challenged. Fair and well thought out regulations are the best we as a society will ever come to a common solution. Banning all pets or some or making ownership unattainable is just going to result in more irresponsible owners. Bottom line think about the animal not your own petty arguments. I don't know to what extent Kevin Richardson is a 'private owner'. Is that his property and do those animals belong to him? How did he acquire them? Hopefully, a nationwide ban doesn't happen anytime soon though. An animal like a lion should never be treated like a mere dog, doing so could end bad like you said. My idea of a good big cat owner would be someone that provides a acre or more of enclosure space, has the money to care for the animal, has knowledge of the animal, respects whether or not the animal wants to have contact like petting and such, and will give proper enrichment activities along with many other things. I think Kevin Richardson would be a great example http://m.youtube.com/watch?v=lsWHvdTye5g http://m.youtube.com/watch?v=MNCzSfv4hX8. For personal protection a fire extinguisher seems to get the job done, according to Michael Jamison. I personally would want to wear clothes made from something like kevlar with metal plates attached to prevent scratches, puncture wounds and broken bones. It shouldn't be easy to buy a animal like a tiger but it also shouldn't be close to impossible. Juan, it's not something I particularly want to believe, but it's likely true. Providing for these animals is difficult. Treating them like a dog endangers them, because if they attack you, they will likely be shot. I don't think it is very responsible for people to do that, but it occurs. My idea of an ideal private owner will provide an enormous enclosure and will have limited contact with the animal (for the animal's sake, I understand some people are willing to risk their own lives but it's not fair to the cat). If there is going to be contact they should always be supervised and another person should have immediate access to some dispatching devise. The animals should be exercised and stimulated at least 3x a week. There can easily be a hypothetical person who can provide this and more, but if they don't exist, than no one should have one. I don't see what good would come of making it easier to buy a tiger. I always hear those annoying claims from people and they always overuse exclamation points too lol I do agree with you about their being regulations on owning large carnivores like a big cat but it seems that there is going to be over regulation or a total ban on them throughout the entire U.S. eventually. I don't want it to be really easy to get a large carnivore and I don't want it to be really difficult. I don't agree with your comment when you said there are more bad owners than good owners of large carnivores although the public focuses on the bad. Michael Jamison seems to be a good tiger owner and he makes regular youtube videos of his two tigers if you haven't already seen them. But in case you don't click on that (you should), what it basically will say is that domestication is not some infallible process that makes animals perfectly suited for captivity in regards to their well-being (using the logic that you are using). Domesticating horses doesn't make them 'content' to be confined to a pen, as many people do, and the same goes for any conventional pet animal. Just because an animal can't survive without humans doesn't make it OK anymore than removing the leg of a wild bobcat (making it unable to survive in the wild) would make it more content to be in captivity. I'm also certain that if cows were a thinking animal, that they would not prefer to have been domesticated by us for the purposes we use them for and I would hardly call this 'symbiotic'. A well-cared for zoo animal is better off than them. This article isn't only about tigers, so if you are concerned about apex predators vs. herbivores then you must be OK with these exotic pets: giraffes, kangaroos, genets, monkeys, servals, elephants, capybara, sloths, racoons, coatimundi, deer...is that right? Not all animals have large ranges as well. So you are saying that these animals are more suited to be pets. I have a desire for many exotic pets, and none of them are apex predators or have a thousand mile ranges. You should also read my hub "why it's cruel to keep dogs as pets" https://hubpages.com/animals/dogssuffer because you are making an argument that domestication = lack of issues associated with non-domesticated animals, and this isn't true. If I'm going to conclude that captivity is negative for animals, this will not exclude any domesticated animal. The impact may differ on the extent of 'harm', but this doesn't validate that less harm is ethical. Does domestication or lack thereof mean that one animal is infallibly better suited for captivity in terms of well-being over the other? No. Is there enough evidence to suggest that every non-domesticated animal in captivity is being harmed, so therefore keeping them captive is 'cruel'? Of course not. So I conclude that you are wrong, and nothing you said is truthful. Do you believe the cats at Big Cat Rescue to be suffering? Shouldn't they just be euthanized if this is so? most of your arguments seem to be based on the "she does it!" fallacy. "i should be able to keep a tiger in my backyard because some people keep a horse in theirs!" is ... well, silly, at best. two huge differences here that should be pretty obvious to most people (although you discount at least one of those issues yourself): horses are domesticated, tigers are not; the needs of a herbivore and those of an apex predator are not in the same ballpark, much less backyard. it took thousands of years for mankind to domesticate the wild animals who have become our symbiotes. dogs, cats, horses, goats, cattle, and other domesticated animals are used to living with us and, in fact, depend on us to survive. predators, like tigers, usually operate in ranges that encompass hundreds of square miles and they are NOT tame, even if they show affection for members of others species (because they're also not stupid or devoid of feeling). to enclose them within a small space; to deprive them of exercising their predatory instincts -- these things, to me, seem horribly cruel. and what would happen to them, heaven forfend, if something happened to YOU? where would they end up? i'm sure you love your exotic pets very much. i love exotic animals too, with great passion. so i send whatever i can to support efforts like Big Cat Rescue, the World Wildlife Fund, and the Nature Conservancy. the first one, especially, picks up after people like you. p.s. in the reply above my comment, you said, "my hub dispenses the truth." your opinion is no more "the truth" than mine is; it's simply what you believe. Taraeliz, just because I don't agree with you about pet keeping does not mean I have no 'empathy', that is just your ego talking. This is precisely the reason I've devised this response tutorial, because of people like you who feel as though they possess the omnipotent knowledge of right and wrong in this topic. My hub dispenses the truth. Are all exotics taken directly from the wild? No. Do they spread disease? Not anymore so than cats, dogs, and meat consumption. Those are all lies devised by people who hold ideological values about animals that I have the right to not take part in. It is my personal freedom to have pets responsibly. I should not be subjected to harassment by people who manipulate the public with piles of lies and misconceptions. My pets 'belong' with me; to possess, to "accumulate", whatever incriminating phrase of your choosing, I'm not phased by. The way you speak about animals and the way you defend your actions saddens me. You are focused on using logic to explain your fight for keeping wild animals in captivity. Where is your empathy? Love? This topic cannot be argued with logic because it is a matter of your heart. When you have love for animals you do not wish to impose on them or change them. You do not keep them for your enjoyment and say it is for their own good. You do not wish about the exotic pets you would like to have in the future. You let them be where they belong. Why do you not see this? Why do you speak of animals as if they are objects to accumulate? Where is your empathy? Not well argued? I'm going to require more information as to why, Jen. Why did you come to the conclusion that "a person incapable of judging animal suffering"? I don't find this to be true. I think we know that when less than 100% desirable things are inflicted on our domesticated pets we still have enough common sense to understand if they are having a reasonable quality of life. Why do exotic pet owners get flamed, bashed, and accused of cruelty for the same practices done with domesticated animals? It comes from a blatant misunderstanding on what domestication really is, and possible disrespect for these selective bred pets. Either way, the whole thing isillusionary. I wish people would screw their heads in properly. I will go into more depth about domestication in a future hub. This is not well argued. Responding to a claim by saying people do it with other animals too, is not effective. If a person incapable of judging animal suffering, why can an exotic pet owner judge animal happiness? I think I agree with the gist of your post Hayley. It's hard for me to determine where exactly you stand but I know I agree with animals not being given the choice to 'choose' captivity. Although I staunchly believe animals can't make such decisions because they do not understand what they stand to lose or gain. Most animals will instinctively run away from captivity, as they are driven to avoid contact with predators, which they view humans as. Animals don't have so much insight, they will even bite the hand that feeds them. Many animals on the other hand can be perfectly happy with human companions but still wander, not unlike a child. They just don't have enough awareness to conduct themselves responsibly. They face their immediate situations and do not consider the ramifications of their actions. Animals are always seeking out food, security, and self-gratification in the form of avoidance of stress. I think that if they could understand that they could have all of this provided for them, with the tradeoff being that they must remain where they are, that they would choose captivity, instead of constant competition that will lead to inevitable death. That is, if they didn't have human-esque emotions toward the idea of 'freedom' and 'purpose' in reproducing. "Omega", the cats you mention are fully domesticated yet they survive outside like wild animals (and are prolific, harming the environment with their invasiveness). And dogs aren't all helpless frises. Sounds like your own argument trumps itself. Flailing your arms and screaming domestication is meaningless and just reveals how little you understand animals. Domestication is a process that makes animals more convenient for human use but it doesn't make them stop being animals. It's interesting that it is OK for dogs and cats to live in my "filthy house". What exactly do you think those animals are? Cardboard cut outs? Furthermore, if you raise a 'wild' animal as a baby or sometimes even as an adult there is a great chance THAT animal will be unable to survive as well, hence why it takes years to 'rehabilitate' cetaceans, bobcats, you name it (and sometimes they still die!). Come back and discuss this subject when your brain starts working. Haley F Martin, I apologize, your comment was immediately rendered as spam so it wasn't approved, I corrected the problem. To the author of this nonsense, you are a moron, cats and dogs are domestic animals which has not happened over night, and you can not release a dog into the wild and expect it to survive very well these days. Wild animals should be respected enough to be allowed to live their lives in freedom, not in your filthy house. I hope aliens exist, and they take you for a pet and put you in a tank with some fake grass. I am a person that never enters an argument, debate, or all out war (as this seems to be over the ownership of exotic animals) without truly researching without bias what the truth of the matter is. In the subject of private exotic animal ownership I have done years of research in deciding weather or not it is fair for all those involved, and have also listened to many peoples thoughts on the matter (both AR and exotic animal owners) to come up with my humble opinion. I am not here to start any fights with anyone, and have great respect for the concerns of others, animals included, so please be respectful with any comments posted in response. Of course, I am not saying that every person should have a wolf or other wild animal as a pet, quite the contrary. The people in those times obviously knew what they were doing, and being raised around those particular creatures, knew their a lot about them. Most people today however only know what others tell them, and that is usually from TV or what they saw at the zoo for a few minutes. Not first hand experience for many years. Any animal(even a good sized dog) can be dangerous to someone without proper research, or a prior relationship with said animal. For example I saw an attack on TV by a leopard or jaguar(I forgot which, but it doesn’t matter for the example)Where someone was walking into its enclosure for the first time. Everything looked fine to him. The big cat was rubbing all over everything, seemingly happy, and then attacked him. He survived, but hopefully he learned his lesson instead of blaming the cat for what was his fault. First of all, he and the cat had just met, and to the cat, he was invading his territory,(a cats instincts tell them that that means he will take over his territory or prey if he doesn’t drive him out, since he is not one of his familiar group.) So he started marking all of his territory(the rubbing)saying mine! This also serves as a warning that the territory is taken and the owner of it isn’t giving it up. The man didn’t leave after all of the warnings, so the cat did what he thought he needed to do in order to defend his home. (what would you do if a stranger walked in your home, ignored your warnings to get out, and kept walking around?) Point is, if the man knew anything about the body language of the species before entering(despite the fact that he didn’t take the time to get to know this particular one) He would have left the enclosure before anything happened. I am not claiming to be an expert on this particular species either, an expert on the show explained these behaviors. A true responsible owner of any animal cat,dog, or lion must do extensive research on their behavior(and expenses) before deciding if it is right for them to bring one into their homes. It is the irresponsible exotic or domestic animal owner we should be warring against, not the responsible ones! A responsible owner of anything regards the needs and safety of the animal, and the people around them, above their personal wants. Both AR and exotics really want one thing, what's right for the animals. The only ones causing them both troubles are the people who don’t treat the animals right(and that doesn’t mean just owning them period)and they are the true common enemy, but don’t worry, I’ll get to them later. As I was saying, even “domesticated” animals can be dangerous if you don’t have knowledge of their language, and instincts. The dog whisperer can be a good example here. He is on TV for cleaning people up on what they should already know. How to get better understanding of your dog. He even says it himself, quote:’I train people’. Sure he works with the dogs, but he only knows what the owners should already know. Hold on now… I’m not saying that every bad dog case is the owners sole fault,(in cases of mental illness, or psychological problems, or trying to rescue an unfamiliar dog)nor am i saying that every dog owner must be some kind of expert like the dog whisperer, I just mean that they must know the basics of their language to understand problems before they arise. Not every tail wag is happy, not every barking dog will bite,not every silent dog won’t bite and so on. I could go on forever about this, but the same goes for exotics. Not everyone can raise a dog right and the same goes for exotics, but don’t overlook the fact that some can. Also, most people seem to see the bad more than the good of things. For some reason without searching for facts themselves(that doesn’t mean only searching in areas for or against certain ideas)they seem to believe that there are more bad or “incapable” owners out there that bad but in reality it is not true. There are bad ones and good ones, but when someone sees the bad they blow it up. You thought you were being clever by trying to use reverse psychology and taunting me that I would not approve your comments, but it backfired. If you're going to enforce your bizarre logic on this page and continue to make exotic pet owners look bad at least be eloquent. And learn to agree to disagree. Why don't you ask your Facebook friends how they feel about your definition of an 'ethnicity'? I dare you. I thought you said you weren't going to use approving and unapproving of messages this way. You can always message me. Are you from a certain community? smh... i would love to read them. i have had several of my friends read his posts for a good laugh. fwiw crazies are in every cause. personally i don't hold it against you. still a great article. someone like that - who wants to parade a tiger down the street obviously does not have the animals best interest at heart. I've unapproved about 4 more of his comments. This kind of speech really bothers me. I want to give everyone a chance to voice unique opinions, as I do have many myself, but then I just feel like my IQ is shriveling when I accept this kind of trolling. I don't mind insults at all...but when they are inane and numerous, it's tiresome, and as you've said, awful for the cause. I will be happy to approve any future comments by him if he creates a rational reply. It's hard sometimes to keep pushing for what I think its right when I observe so many pitfalls of human behavior. good lord is that nut job still trying to engage you in his psychobabble? i think of the fathers of the civil rights movement who marched in protest - risking their lives - people that actually fought for civil rights... and some wackadoo wants to call owning an effing tiger a civil right?? I don't know what you hope to achieve attempting to bother me here. Why don't you make your absurdness useful and find me examples (proof) of responsible big cat owners. I for one would love to be wrong about this, it would make my life a little bit easier. Do you even own any exotics? I still would love to hear your reasoning for making this statement: "And I don't think that either one of you knows anything about animal husbandry." If you can't do any of that I think we're done here. All I see is an attempt by Melissa Smith to walk on an ethnic minority who she has decided is not fit to have civil rights. Hi Melissa I found this just looking around and was impressed: a good read. Things are even worse down here so it is easy for me to imagine how bad it might get in the US if people like you do not stay alert and active. Keep the message out there! Yeah, I need to go to bed too. Looks like we are in the same time zone. I would love to write a hub about iguana care but that's been done to death, but mine (female) has been through a lot. I bought her when I was in middle school when I wasn't as educated. I think domesticated animals are still relevant. There are many 'grey areas' when it comes to that. Many birds are seen as 'normal' but they are exotics (and it is well-known that people feed them inadequate seed diets). Many domesticated animals have special needs as well. Some exotic animals are semi-domesticated, there are even 'domesticated' foxes. I think it boils down to what people are used to seeing. 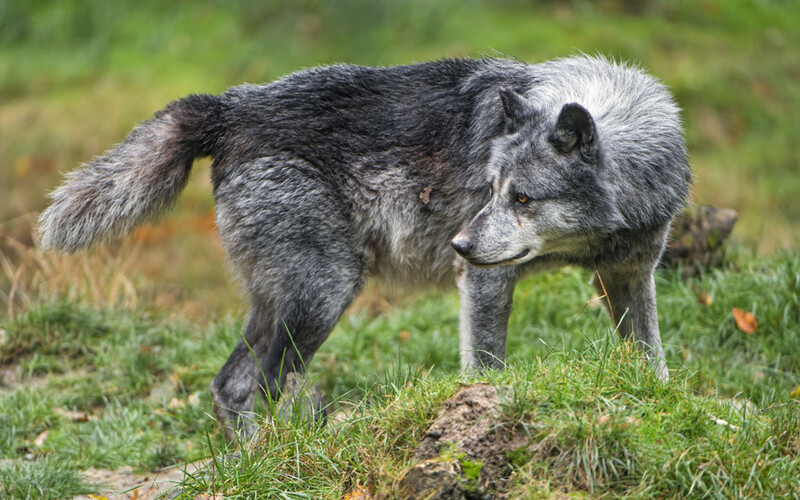 Not sure if the people who want to eradicate wolves are the same ones who want to own them, lol. People are heavily divided on that subject it seems. i totally get where you are coming from. i try not to assume that all exotic owners are like the ones i have met. 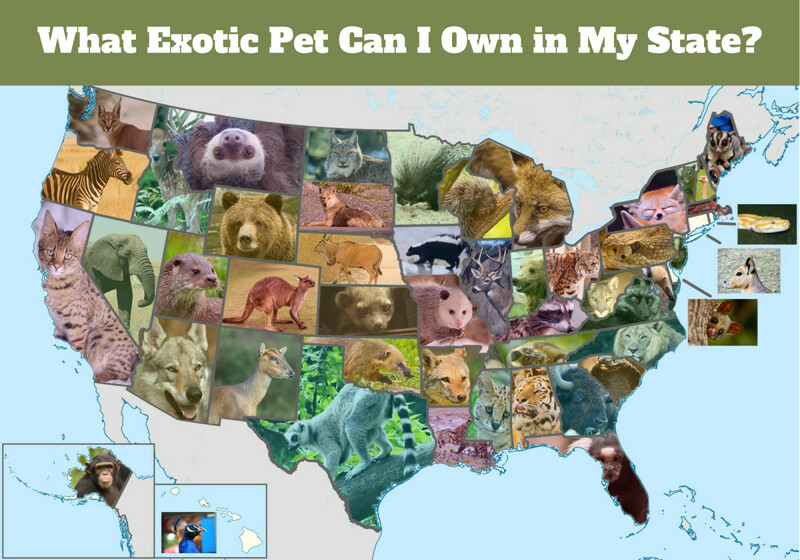 i am sure there are some great owners out there... i know there are some great sanctuaries out there and they seem to rescue a lot of large exotics from people that have no business owning them. being a vet tech for as long as i have, there are a whole lot of people who can't seem to properly care for domestic animals.... but that is a different topic entirely. its awesome you have a 14 year old iggy! they can be really awesome guys. i also don't think the average owner is equipped or even gives much thought to what to do with some of the exotic snakes and monitors when they get to a certain size. i think that it is awesome you have an iggy that's 14. i bet hes a cool character! i know some of my thoughts are random, but it is 4a m lol. i will have to check out some of your other hubs! Hmm, well Jennifer I don't really consider those animals 'big cats', and they are animals I would like to someday own. I would presume that non-domesticated animals like these would be very stressed out in a vet situation. 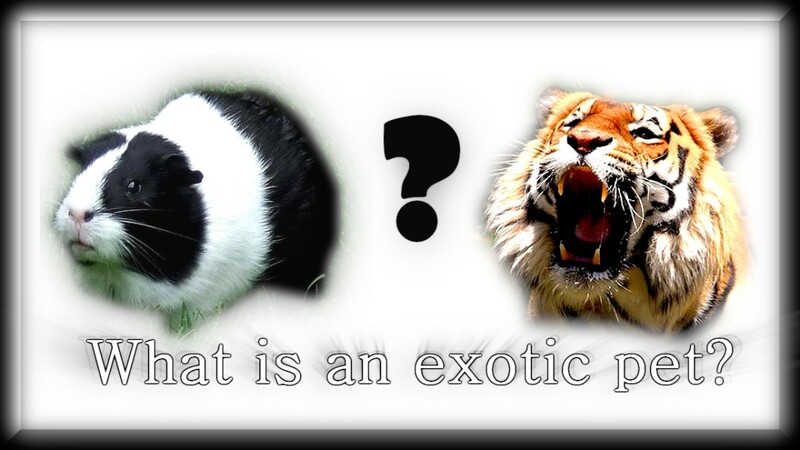 Exotics tend to act very differently when they are in the situation they are used to. They abhor changes, a lot like myself, which is why I would never subject one to be 'walked down mainstreet'. It's sad to hear of those situations. If you can't afford to feed your pet...it's possible you shouldn't have one. There are many reasons why exotic felines pace...I will be writing a hub on that in the future hopefully (if I haven't been driven crazy from the people hating on all my attempts to bring this subject into a reasonable context). I also have an iguana who is about 14 years old. I understand their dietary complexities and it is well known in the reptile communities. I don't know what to say about bad owners...they still don't negate the good ones. It happens with dogs and cats too. That's the core argument here in this article. I believe cats and servals should be fed similarly. I do happen to have a hub on vets and raw feeding. Unfortunately a lot of misinformation is spread from both ends. I think all these animals shouldn't be sold in pet stores for these reasons (again, I have a hub about that). You know, our civil rights are so important that we sacrifice thousands of our young adults in their name, but they don't seem to be important enough to actually put into practice. There go your "safety" objections. "And I don't think that either one of you knows anything about animal husbandry." Ooookay? Why? And if you can't provide a good reason for saying this it will just further confirm my thoughts on your mindset. i am hesitant to wade in to the crazy pool with thomas here... he seems a bit emotional. i would really like to hear from a sane, rational, somewhat less paranoid sounding owner on this topic. i hope one will comment. Being "considerate" the way that Melissa demands is simply allowing myself to be run over by the bigotry. Outright defiance would have been better from the start. Those who gave in to it pretty much killed the industry, and allowed it to be killed. A lot of good owners have lost everything. A lot of good animals have died. It has become an extinction event driven by manufactured contempt and just plain thievery. And I don't think that either one of you knows anything about animal husbandry. 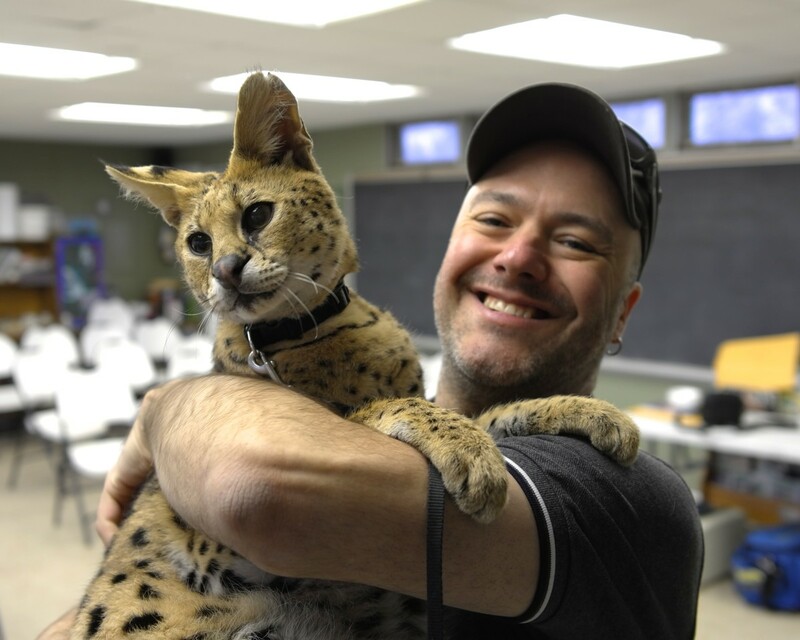 i have had a little experience with some big cat owners and i try not to assume they are all this way, but as a vet tech we had an owner being in a serval. she was kind enough to call ahead and ask if any of the overnight er staff would see him. i was one of two techs and one dvm who would see the cat. the clinic i work at has seen several exotics from zoos and from a couple of rescues, but this was the first privately owned big cat. she brought the cat in and it was obviously traumatized and angry. she was sane enough that she insisted we sedate the cat prior to an exam (like there was any other option...) she actually said that she could not understand... at home he was so sweet but when she brought him to the vet he turned in to a "wild animal".....really? i mean really? maybe because he belongs in the wild.... anyway. she fed him cat chow and he had plates in both front legs from a prior visit to a vet where he (according to her) swatted the bars so hard he broke his own legs.... she obviously loved him, but i am not sure if it was fair to him. he ended up having surgery, and went home and none of the team got maimed...lol. 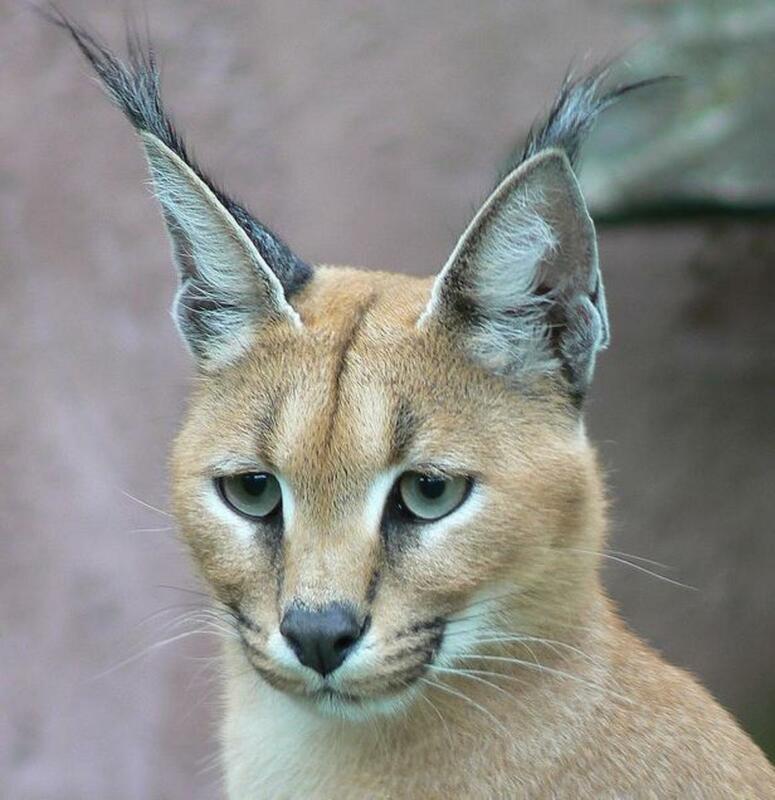 there is also a lady not far from me who has a pair of servals and a caracal. i have been lucky enough to spend some time in their company. they appear well fed, but i know she has a very difficult time affording meat for them. i occasionally will buy her some chicken to feed. they do have small enclosures and exhibit stereotypies - mostly pacing a lot. they are very clean and seem to be managed well, but somehow they just seem ... sad? i am not saying anyone should come and take her cats, but i am not sure it is the best situation for them either. personally, it was exhilarating to touch something so beautiful and wild, i can see the draw, but i think you have a point melissa, when you said that the people who really love these animals know that they cannot properly meet their needs. these are animals that in the wild travel miles and hunt. i am not sure how well that can be replicated in some yahoo's back yard. they need a little more exercise than a stroll down main street....i get the feeling that a lot of these private owners (not all) are selfish and putting their need to feel superior? or macho? over the needs of the animal they claim to love. it would be tragic to loose them entirely and with the habitat destruction that is going on it seems that we may loose some of them.i hope that is not the case. maybe we need captive breeding programs to keep them around. the nutrition issue... as a vet tech and one interested in exotics, i have ended up with many malnourished iguanas that people did not know how to properly care for. i also have a friend who is a dvm who keeps exotic reptiles - they all look well cared for - but the average exotic reptile owner thinks they can throw some crickets at whatever weekly and not give it a second thought. the lady with the serval feeding it cat chow - not even a premium cat food. purina cat chow, i would imagine that the lack of a decent balanced diet contributed to the brittleness of the animals bones. i mean cat chow isn't even a decent diet for house cats... most people who want to do a raw diet for their domestic pets don't do it properly much less for an exotic cat. this really is a subject that i do not know how i feel about. i appreciate you making me think! what caused you to write on this topic? Contrived contempt does not impress me and I see you stirring up hatred and division between exotic animal owners here. 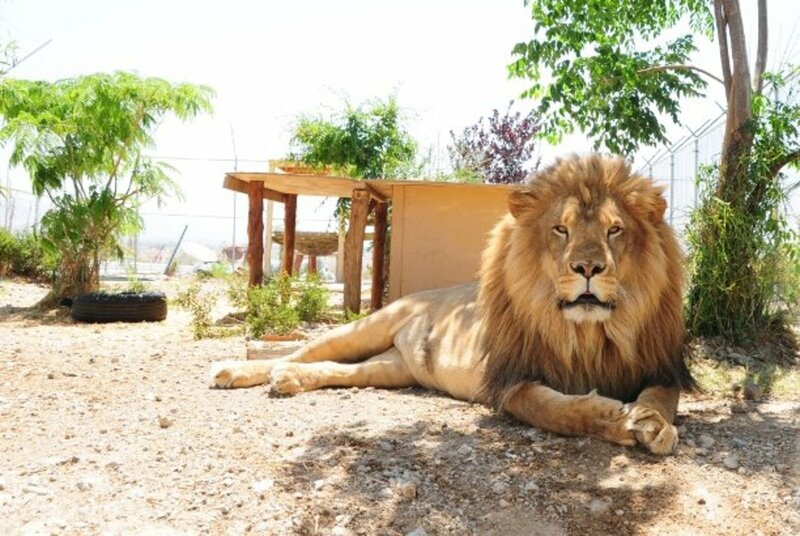 Nothing 'fancy' about observing that big cats are being kept in sub par conditions, thus providing more fuel for people to be against my animal choices. Yes, I have contempt for your 'walking tigers on leashes on Mainstreet' proposition. I actually think at least most large carnivore owners wouldn't be that insane. I would love to talk to a big cat owner that does not spread this ideology and actually cares to address animal welfare. People don't like to see animals treated poorly and...tsk...I'm one of them. You can label me a bigot for it, that doesn't phase me in the least bit. Your mindset is not unlike the people who refuse to clean up after their dogs in the parks and get anti-dog laws spread among them. You are the problem. You're supposed to have a semblance of consideration for the population you live with...and maybe if you and others did they would return it back. Bigotry always identifies various individuals and groups as "legitimate" targets for the suppression of their individual rights. There is always the pretense that this is for a greater social good, so when I see them abuse the term "safety" I'm on to them. When they name a group and claims that the group is inherently inferior, that's bigotry. You're doing that same thing, Melissa Smith. This is why we have civil rights, not that I often see them honored very often, just explained and driven away. Raw truth here is that I don't see even a good proof of your assertions as a reason to oppress people who want to own animals. A lot of the "reasonable explanation" includes the principles of freedom that you seem to have a large measure of contempt for. We're both smart enough to know better than to act like a woman can't be a bigot. Your own rhetoric is the best explanation as to why I said that you talk like a bigot. You used fancy talk to explain why you tar big cat owners with a wide brush. That's the mark of a bigot who's smart enough to construct sophisticated-looking rhetoric but not smart enough to refrain from using the power dishonestly. I admire your confidence Thomas, but it must be accompanied by a reasonable explanation. I agree Jennifer, it is concerning (whether or not people can care for them). I've done a lot of reading on the subject. Different animals need different requirements. Big cat ownership isn't really as difficult, I think, as you may think, outside of financially. See my hub "How to care for a pet tiger". The snake issue is just one issue among many. Many feral cats also roam every state. The snake issue affects one region (not even the whole state) and is overblown. I would like to hear more about your opinion regarding nutrition. I feel as though domesticated pets don't get that either. Just because they are not 'wild' doesn't mean their physiological needs have disappeared. I appreciate that you are not automatically supporting bans. That statement by me was right on the money and not even close to being "bizarre." Thomas, I was referring to this statement: "In case I was unclear, I do find that rhetoric as offensive as if it were bashing gay people, racial minorities, or women." And comments about my speculative need for (I presume) psychiatric medication do exactly what for your image and your case, Jennifer? i stumbled on this page and i will be honest, i do not know how i feel about it. it seems that privately owned animals often end up in rescues when the owners can no longer care for them. it also seems that florida has a real problem with non native constrictors from private individuals that have either turned them loose or allowed them to escape. i am sure there are good exotic owners but i really doubt that the average person can care for some of these exotics properly in captivity.i am not sure if their needs can be met - even if they were born in captivity, they are not domesticated. i do not believe the average person is able to handle the nutritional needs of some of these exotics either. i am not ready to get behind a ban or anything, but it is concerning. You think that it is bizarre to ask you to prove your assertions? Last time I checked, a whacko released about 50 of his animals from their less than ideal conditions (no, I do not entertain the conspiracy theories that he was murdered), and the state of Ohio now has banned them all, including species who have never killed a person in history. He accomplished that, not my "rhetoric". It is essential that you train yourself to think in terms of reality. I want to be free to keep my pets but I do not support abuse and I certainly don't appreciate it when said abuse makes me look bad. People who think like you make it hard for me to prioritize my life's interests while knowing it may lead to animals landing in the hands of people who have no regard for their well being or public safety, such as your reply to me demonstrates. Don't force me to side with them.. not that they even NEED me or anyone else to succeed in their efforts. I find your second comment to be bizarre. In case I was unclear, I do find that rhetoric as offensive as if it were bashing gay people, racial minorities, or women. Well, you are definitely making unprovable assertions and attempting to take intellectual territory by foul, paralogical means. As it stands now, I think that the world would be better off if I were free to walk my tiger down Main Street on a leash and no person could tell me what to do with my animals. I also think that your kind of rhetoric causes a lot of damage to the cause of animal ownership. It should have been obsolete a long time ago, but its moribund body of illogic will be exhumed periodically and someone like me will have to smell the rot again and again as long as I can't keep the grubby mitts of busybodies off my business. Good day. I can't technically 'prove' it but you also can't prove the contrary. These people are 'hiding' for a reason. Owners of smaller exotics do not hide, but the big cat/bear/large dangerous exotic crowd does. They hide until they end up in the news after an animal cruelty raid and that is the picture the public sees of exotic animal owners. I've seen maybe one or two examples of decent-looking situations for big cats. If other private owners have beautiful facilities and happy animals, they should post pictures and video like the owner of Rexano. It's the only way to get public approval. When it comes to these animals 'sub-par' care is unacceptable. The stakes are too high...for us and them. If we don't work with the other side on this, we'll never reach any kind of agreement. They have zero issue with just banning everything. Can you prove this assertion about owners of big cats? Hi Thomas Kirby, I see what you're saying but I completely disagree. No person should be able to purchase animals like tigers and bears without an incredible amount of jumping through hoops...if at all. From what I'm seeing with people who own these large dangerous animals, many of them do not have high enough standards for their animal's care and all that accomplishes is a miserable existence for that animal and bans for the rest of us with smaller less unreasonable exotics. I can no longer deal with or condone the mishaps with these special needs animals. Most people cannot privately care for them effectively. Now I know this sounds like the polar opposite of the position I stand for, but I actually adopt both positions. Bad owners are the true enemy. I care about the impact and potential welfare violations my pet keeping lifestyle may create, and regulations are the only way to try to remedy that situation. The fact of the matter is, owners of large predators tend not to be good owners because people who would make a good owner for that type of animal realize that it's too much of an enormous commitment and settle for smaller species. That leaves irresponsible owners to rule the roost. Of course regulations might make bad things happen. As if no regulations wouldn't (they already have)? It's why AR groups have so much fuel against us. Near the end this reads like you feel that you and those who you approve of should decide who may own a particular animal. When someone recommends "regulations" for some owners, it really takes the wind out of the sails for any movement that tries to fight off regulations that are being pushed by the HSUS. And I'm sitting here really messed up and stuck because the best support that I see out there for my rights insists that I bow down to them and give them my support at the same time that they advocate limits to those same rights. There is no such thing as "no one has a right to own an animal that they can't take care of." There is "no one has a right to own an animal that we "think" that they can't properly take care of." I have already seen fakery of that position to the point that they confiscate a whole kennel full of dogs using the excuse that they found a little bit of dog fur on the floor and cobwebs on the ceiling. No one ever, ever feels that their "regulations" or the control that they might be able to assert over another person ever causes bad things to happen. Toosha’ ! Well written and spot-on! Sick-‘em, Dano!! !